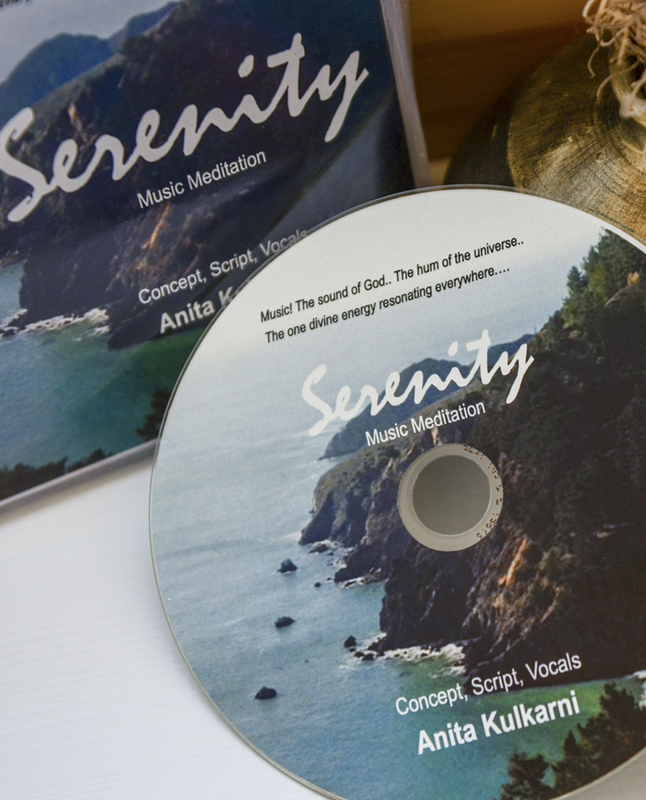 Serenity – Music Meditation by Anita Kulkarni. Music! The sound of God…. The hum of the universe…. Music is born in the Naad-Brahma – The ‘OM’. A state of meditation is attained by listening to music at a deeper sensory level. The album ‘Serenity’ presents musical meditations for early morning (20 min), and night (15 min). 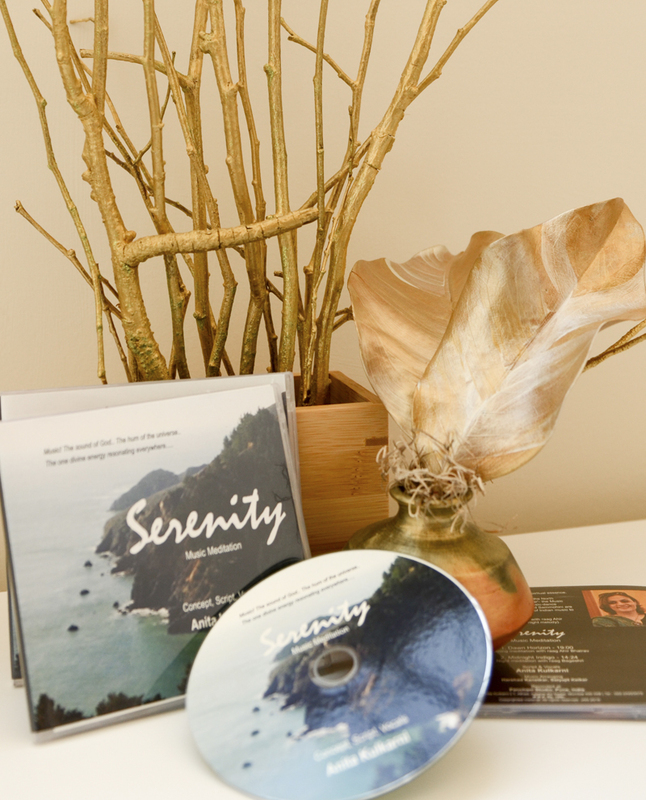 Choose a quiet comfortable spot, play ‘Serenity’ and close your eyes to meditate …. The musical message will simply draw you into experiencing a beautiful rejuvenation.